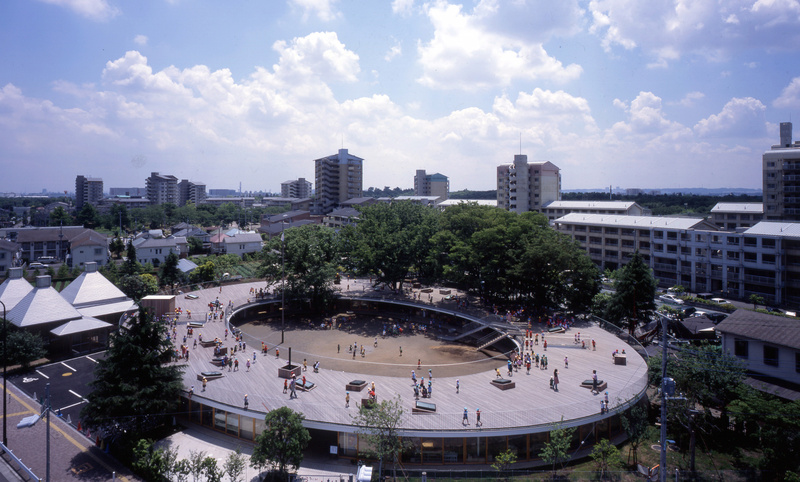 At Fuji Kindergarten, designed by Tezuka Architects, children enter an oval-shaped building with an open-air rooftop playground, with trees entering into classrooms and virtually no division between play and learning spaces, between the indoor or outdoors. On Tuesday, the firm was awarded the Moriyama RAIC International Prize for this project in a ceremony held in Toronto. The Moriyama RAIC International Prize recognizes one architect, team of architects, or architect-led collaboration for a single work of architecture that is deemed as a transformative and inspirational contribution to society, and comes with a monetary prize of $100,000. The work must embrace humanistic values of social justice, respect, equality and inclusiveness within the community. Tezuka Architects, a husband-and-wife practice based out of Tokyo, Japan have been previously recognized for their people-centered designs. The firm was chosen from a shortlist including BIG, John Wardle Architects and NADAAA, and Mackay-Lyons Sweetapple Architects. Located in the suburbs of Tokyo, Fuji Kindergarten is a single-story oval-shaped building 183 meters in circumference, with the roof serving as a playground. Three enormous trees were incorporated into the building, soaring through the classrooms and up to the roof, encouraging children to climb, with protective nets installed to catch them. A network of staircases, slides and skylights joins the two levels, making the roof accessible and inviting. Designed for 600 students, the building encourages community and social interaction. The interior classrooms are interconnected, partitioned only with movable furniture. 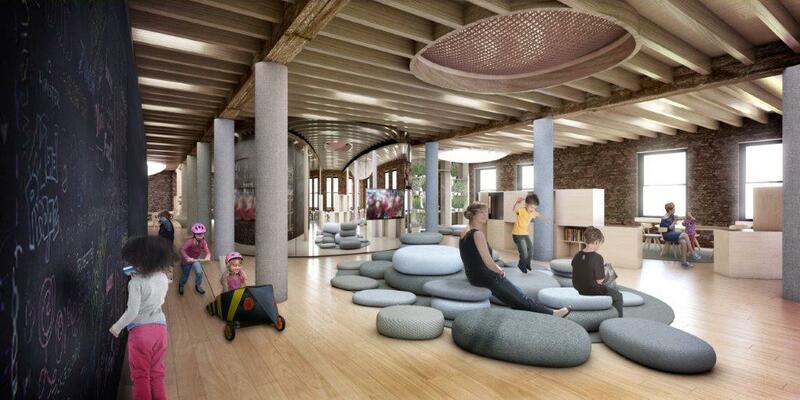 Noise flows freely through the school, outside to inside, challenging the norm of quiet learning spaces so common in kindergartens (a condition which often makes children nervous and uncomfortable). Throughout most of the year, all the sliding doors are open, harmonizing the outdoor and indoor, a common theme in Tezuka Architects' work.